Releasing the Magic! : BLBW WORKSHOP AT DON VALLEY ACADEMY! 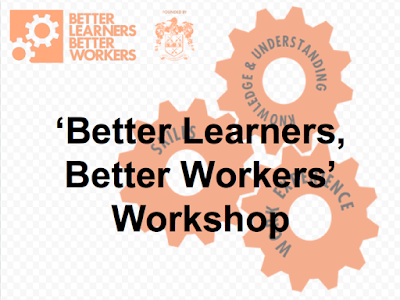 Sarah Ward and I were really pleased to be back at Don Valley Academy this afternoon working with Patrick Morris, who had managed to get 50 students interested in the 'Better Learners, Better Workers' programme, after the introductory assembly Sarah and I ran last week. We were there to deliver a workshop to explain the approach, the programme and the opportunities and challenges ahead for any students interested in working with us over the next two years. It was great to see the students again and share Patrick's enthusiasm and his commitment for his students and also to work with someone who understands the importance of the world of work. Patrick's preparation, energy and passion meant that all fifty students took away an application pack and parents/carers guide. Let's hope that most of them return a completed application form so that Patrick and Mr Brooke can short list a great group for Sarah and I to interview next week and select a fantastic group of young people to be Don Valley Academy's first BLBW Ambassadors. Exciting times!